I snapped the essence of this picture at our friend Noelia’s wedding in Sitges Spain about two years ago. 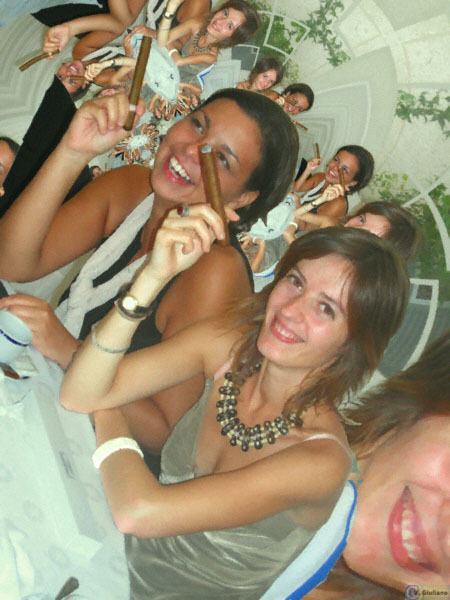 It shows two girls smoking cigars to celebrate the end of Noelia's life as a single. The image captures the endearing damned-to-all-convention attitude of many young Spanish women today. I edited the image so it fills the wedding hall with their reverberating spirits.